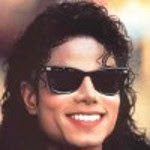 Whatever your feelings about Michael Jackson and his untimely passing, there’s no denying that he was one of the greatest single entertainers the world has ever known. 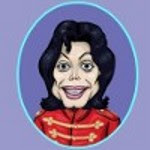 Instead of the normal daily game review, I figured an “Ode to the King of Pop via Flash Games” would be fitting. 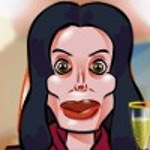 Despite the dearth of excellent Michael Jackson-based games, we found a handful that is interesting, funny, or shocking enough to warrant a playthrough. Mild Disclaimer: All of the games listed below were created by various authors prior to Michael Jackson’s death (except for the Soundboard), and as such, there’s some controversial subject matter on display. If you’re easily offended, proceed with caution. If not, dive in for some interesting parodies and perspectives of the King of Pop from the Flash gaming community. 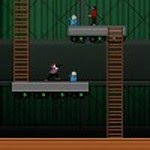 Jumpin Jacko: The first title is a retro action-platforming game in which you need to help Jackson avoid paparazzi and rescue the children in time for the performance of a lifetime. Celebrity Smackdown 3: Face off in fisticuffs against four different celebrities (including Michael) in this first-person fighting game. go Michael go! : This one plays like Frogger. You’ll need to help Michael collect the incriminating photos and then rendezvous with his chimp Bubbles to complete each level. Michael Jackson’s Dropping Babies: Based on another of Jackson’s tabloid exploits, try and drop the babies from the window into the padded wagon below before time runs out.